Back up. Colleagues didn’t come through and if you proceed now you’ll only wind up taking the fall for their mistakes. The Full Moon in Taurus shows that people care – which means you’ll have to take back some of those not so nice things you muttered under your breath. No sooner does one door close then another opens. Ready to move on? The possibility looks more probable with each passing day. 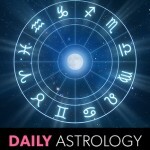 A Full Moon in Taurus gets you to focus on the bottom line, but don’t lose that sensitive side. Nurture always brings out the better nature in others. You face a difficult decision, but once you realize it’s your misguided feelings of loyalty that are holding you back then you’ll act. Did your supervisor or boss really give you the thumbs up? Yes. And this is just the beginning of more support and encouragement to come. Bending over backwards to help is laudable, but you’re not a contortionist. Stop being so accommodating. You’re not making trouble. If someone fails to deliver as promised then you’re perfectly within your rights to insist he honor his commitments. It’s a sure sign of success when people come to you for loans and favors. Help those who helped you and serve the others their just desserts. You’ll soon have a chance to recoup a loss, but why settle for that? Play your cards right and you’ll get even more. Inundated with paperwork, you may not spot that envelope that says you’ve been approved. Read it carefully because there’s more than what you asked for. It’s too early to anticipate the outcome of events. Planetary energies are so unpredictable that it will be anyone’s guess until the last possible moment.